This article was first published on November 21, 2014, and has been republished for TechRadar's Movie Week. It's almost a surprise to discover that it's been 12 years since Peter Jackson released the second installment of his game-changing Lord of the Rings trilogy. While the film was a huge financial success, it was a massive step forward technically, delivering one of the first and most important leaps in the use of motion capture in films. 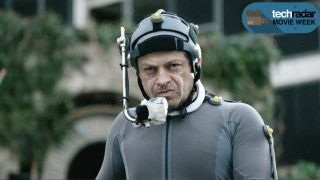 Andy Serkis's role as Gollum in The Two Towers wasn't pure motion capture per se – each scene was key-frame animated using Serkis' performance as a reference – but it did pioneer much of the technology used in motion capture today. Since that film, the team at New Zealand special effects house Weta Digital has been developing and enhancing the technology used in motion capture. For the Blu-ray release of Fox's Dawn of the Planet of the Apes, TechRadar had the opportunity to visit Weta's Wellington motion-capture facility to see the tech behind the film. Back in 2002, the motion capture technology was considerably low-tech. To create his performance as Gollum, Serkis was dressed in an all-white jumpsuit, that created enough of a contrast to the rest of the set that animators could essentially use his performance to design Gollum. But fast forward just a few years to King Kongand the technology has changed dramatically. Serkis again plays a key role, but this time he's wearing a suit covered in strategically placed dots. Special cameras beam out invisible infrared light, which reflect off the dots and are then recorded in three dimensions, giving animators a comprehensive stream of data in a 3D environment. There are approximately 53 markers on each person, with each one numbered from one to 53 and then assigned to a certain part of the body. Taking it a step further, actors then have dots painted on their faces, allowing animators to capture the intricate facial movements given during a performance. This approach, while effective, wasn't without its hurdles. The biggest was that the nature of the IR cameras meant that all mocap needed to be shot in a studio, as the brightness of the sun would knock out the ability to record the data. But as you would expect, the boffins at Weta managed to find a solution for that as well. For the Dawn of the Planet of the Apes, the team at Weta took the motion capture to the next level by moving from a passive technology to an active one. While the team initially trialled the active technology during 2011's Rise of the Planet of the Apes, the early suits were quite fragile, with cords and cables easily broken. So for the second Apes film, instead of having the actors wear dull grey suits with little reflective balls attached, Weta developed a system that used active IR LED lights within the suit itself. "The strength of [the active system], and the reason it was developed here - obviously for Apes the most important thing for us was being able to get really strong performances, and our ability to put the ape actors on location with the human actors was probably the single biggest advantage we have. And this system here meant that we could be outdoors in full sunlight and actually capture motion," explained Animation Supervisor at Weta, Dan Barrett. "[It's] quite a lovely kind of rig we have here. On Rise [of the Planet of the Apes] it was a bit more of a prototype, we'd get a lot more breakages and things, cables would come out but what we've done is cast it into rubber so we it's a lot more robust and we don't really have any problems any more we don't have any dropped markers, so even when Andy [Serkis] and Toby [Kebbell] are having a fistfight on the dam, and beating each other up and rolling around on the ground, we continue to capture the data." Barrett said.